A recent survey of 2,000 Brits, commissioned by Pimm’s, revealed that discussing the weather was the UK’s most popular conversation topic, with 54 per cent stating that it was one of their most regularly talked about subjects, more than family (38 per cent) or food (31 per cent). It is perhaps no surprise that the British are said to be obsessed with the weather. We just have so much of it! For TOWIE fans, Chloe Simms, summed up how I think most of us feel about the first quarter of this year by saying something along the lines of ‘not being able to live her best life in this weather’, referring to what has seemed non-stop rain. And while the long range forecast for this month shows signs of improving temperatures, it looks like we haven’t lost those April showers and gloomy just yet. Whatever your thoughts personally, the weather is certainly setting some challenges for some industry sectors particularly retail and leisure pr. For bricks-and-mortar retail, the Beast from the East contributed to the heaviest year-on-year drop in footfall in March since records for the Retail Traffic Index began a decade ago, with the number of people entering non-food outlets falling by 11.5 per cent compared to the same period last year. And, according to the British Retail Consortium, over the three months to March, in-store sales of non-food items declined 3.0% on a total basis and 4.0% on a like-for-like basis. However online sales of non-food grew 7.9% in March and over the first quarter total food sales increased 4.2% on a like-for-like basis and 5.3% on a total basis. Perhaps a mix of Easter falling in March this year and the weather contributing to more entertaining at home helped these food and online figures. After all, who doesn’t spend an hour or so online shopping when the weather is horrendous outside? Sporting events and venues were hard hit too with running events across the country falling foul to snow and many golf clubs too water-logged to play. The Climate Coalition’s recent report, Game Changer, which looks at the impact of climate change on sport, states that there is growing evidence that the UK is becoming warmer and wetter. During the last 20-30 years, the UK has experienced a rapid increase in extreme weather events such as heavy rainfall, bringing severe flooding in many areas. Six out of the seven wettest years in our history have occurred since 2000. And in 2017, the Met Office suggested that the wet weather is set to continue, with its research demonstrating that, even with the current climate, it is likely that there will be one or more monthly regional rainfall record events, over the coming decade. 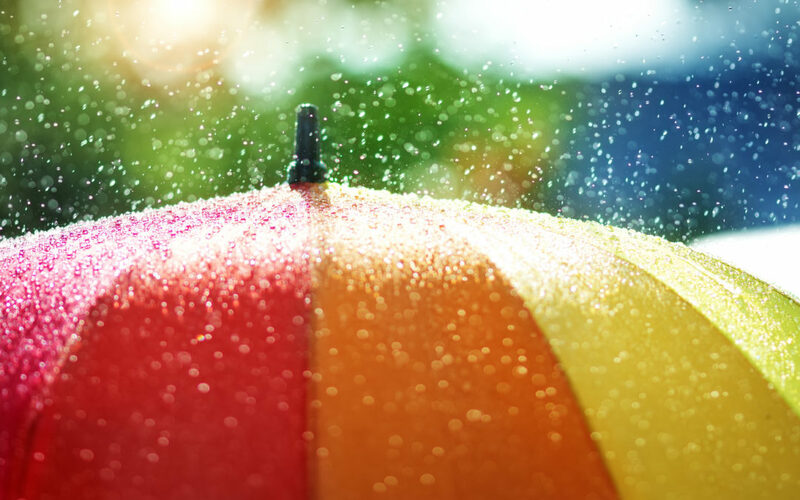 So, wet weather plans look set to remain a key factor for many businesses in the years to come as we as individual get set to pull on our wellies and carry on. Our consumer lifestyle PR team specialise in connecting everyday brands with everyday people across four core sectors; Consumer Lifestyle PR, Food & Drink PR, Retail & Leisure PR and Sport, Health & Wellbeing PR. More information on these areas of knowledge can be found at www.escapadepr.com/about-us.